Are you ready for the cutest race yet? 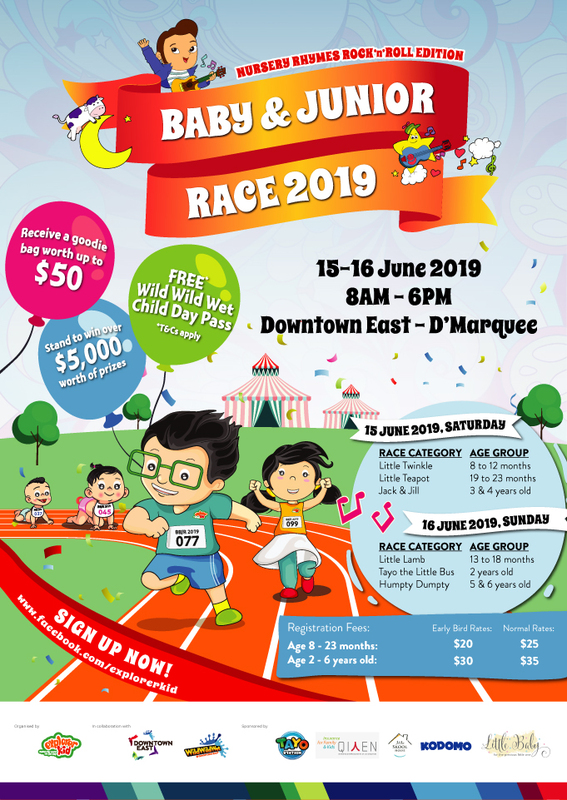 eXplorerkid’s signature annual event, Baby & Junior Race 2019 is now open for registration! Register your little ones and cheer them on as they dash to the finish line. In this year’s Nursery Rhyme Rock ‘n’ Roll Edition, expect lots of interesting games, workshops and stage performances. Attractive goodies just for you! Come join us for a fun-packed weekend with your family at Downtown East.